Here is the Las Vegas Review-Journal’s 2017 all-state football team. 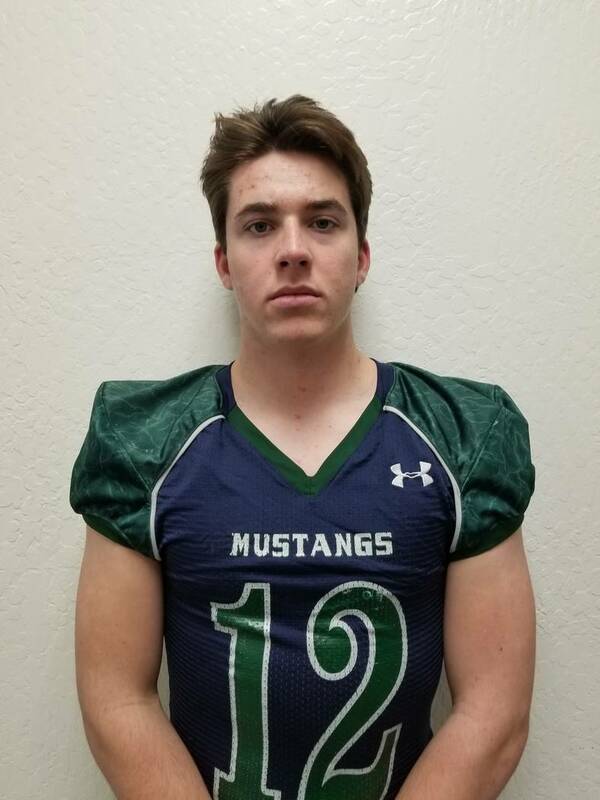 Damonte Ranch's Cade McNamara is a member of the Las Vegas Review-Journal's all-state football team. 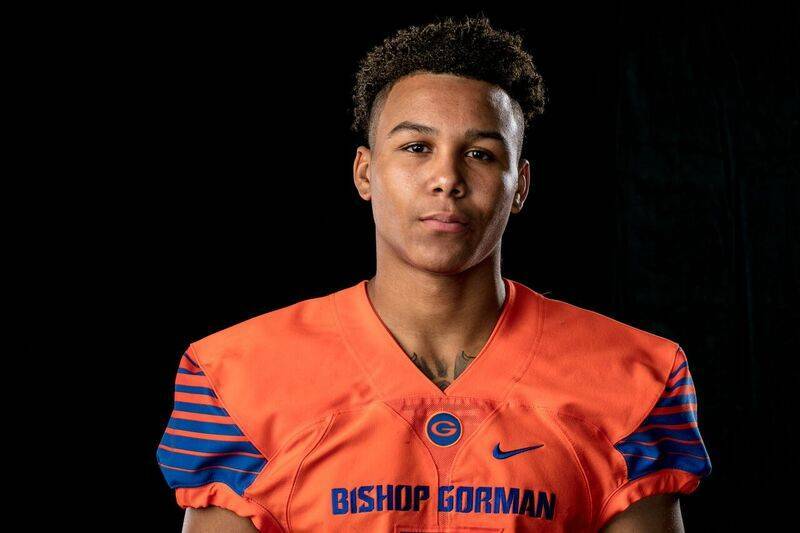 Bishop Gorman's Dorian Thompson-Robinson is a member of the Las Vegas Review-Journal's all-state football team. 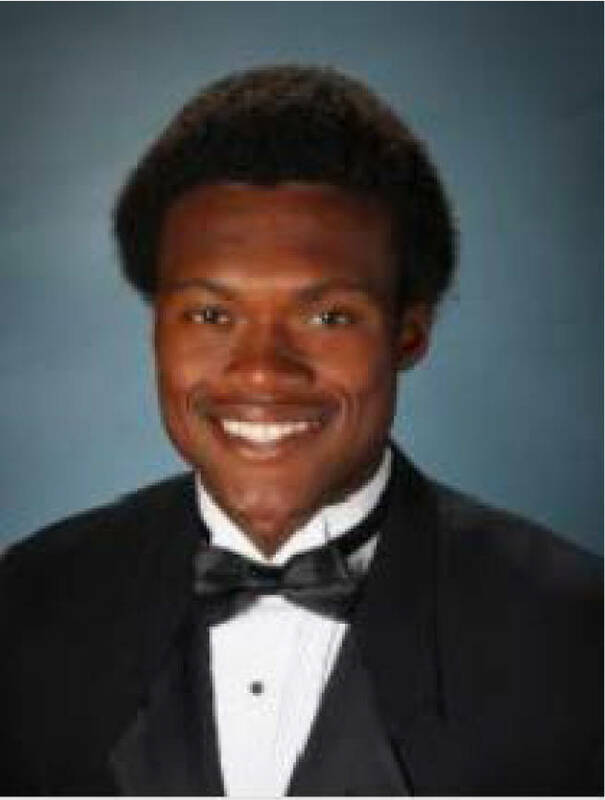 Carson's Abel Carter is a member of the Las Vegas Review-Journal's all-state football team. Virgin Valley's Jayden Perkins is a member of the Las Vegas Review-Journal's all-state football team. 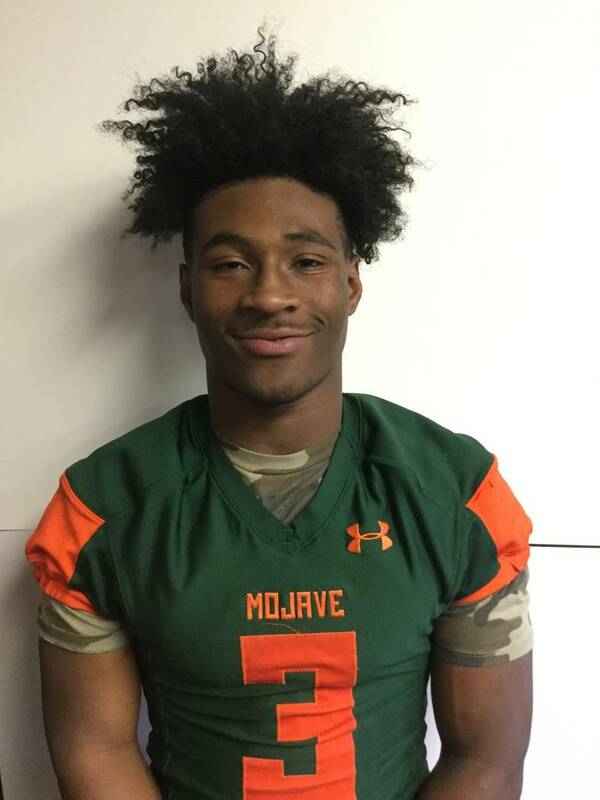 Mojave's Tawee Walker is a member of the Las Vegas Review-Journal's all-state football team. 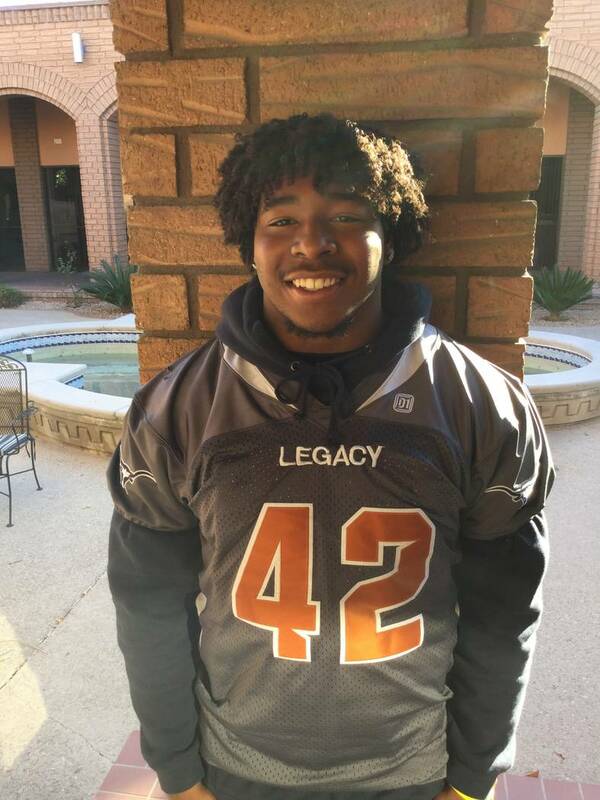 Legacy's Aubrey Washington is a member of the Las Vegas Review-Journal's all-state football team. 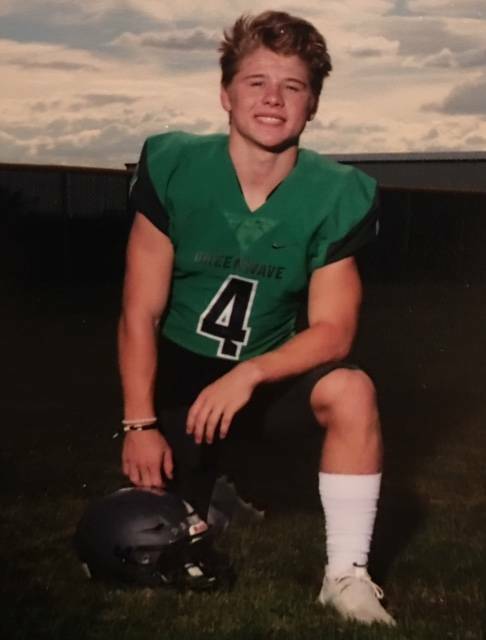 Damonte Ranch's Dru Jacobs is a member of the Las Vegas Review-Journal's all-state football team. 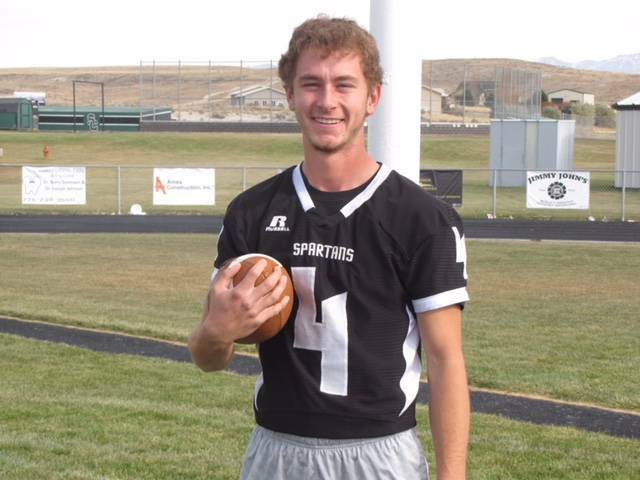 Spring Creek's Dakota Larson is a member of the Las Vegas Review-Journal's all-state football team. 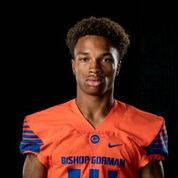 Bishop Gorman's Jalen Nailor is a member of the Las Vegas Review-Journal's all-state football team. 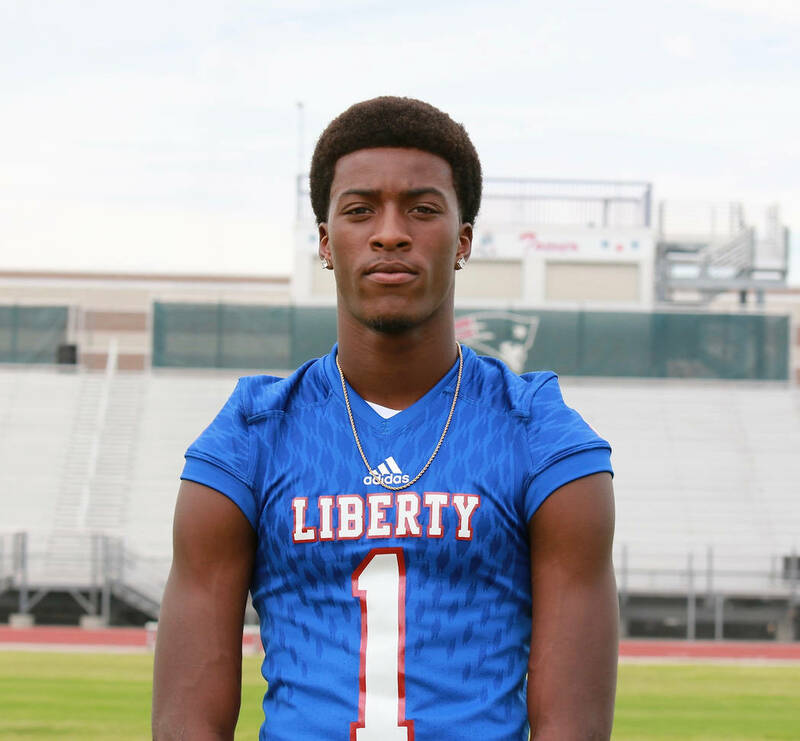 Liberty's Marquez Powell is a member of the Las Vegas Review-Journal's all-state football team. 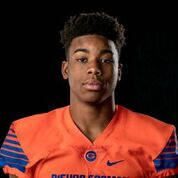 Bishop Gorman's Brevin Jordan is a member of the Las Vegas Review-Journal's all-state football team. 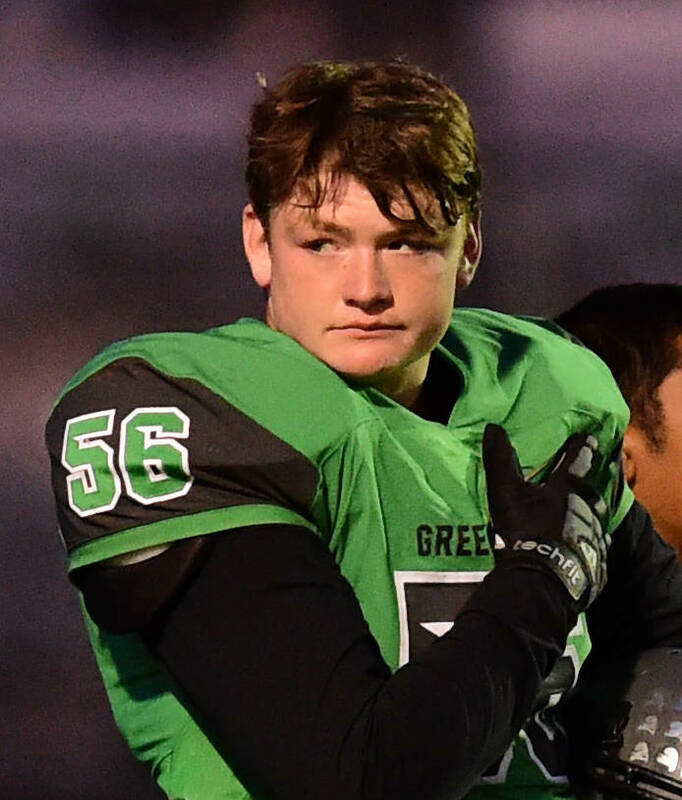 Green Valley's Eric Brown is a member of the Las Vegas Review-Journal's all-state football team. 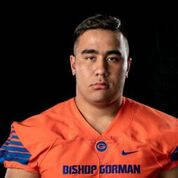 Bishop Gorman's Jacob Isaia is a member of the Las Vegas Review-Journal's all-state football team. 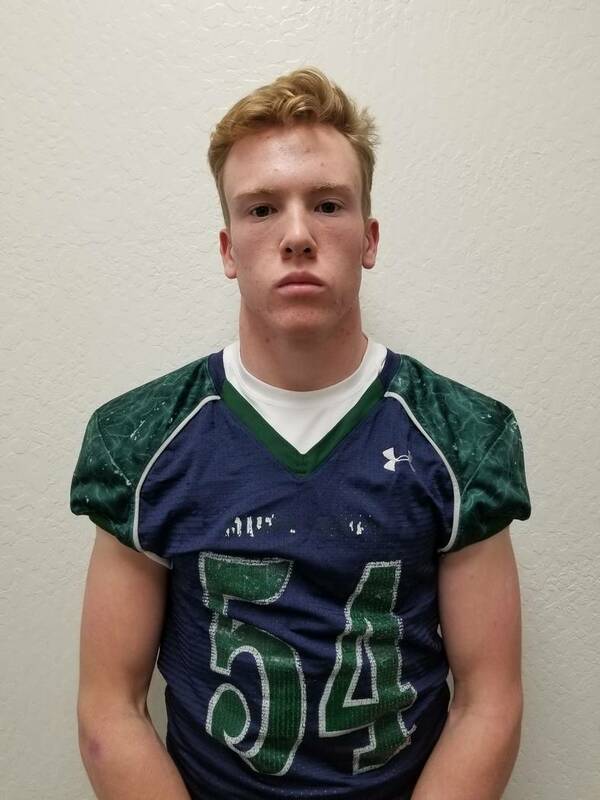 Damonte Ranch's Ryan Madole is a member of the Las Vegas Review-Journal's all-state football team. 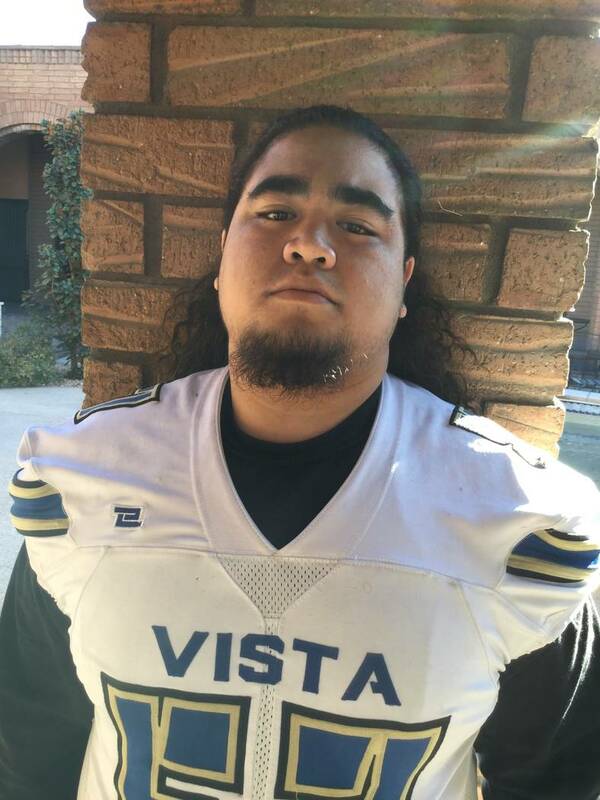 Sierra Vista's Isaiah Palelei is a member of the Las Vegas Review-Journal's all-state football team. Bishop Gorman's Beau Taylor is a member of the Las Vegas Review-Journal's all-state football team. 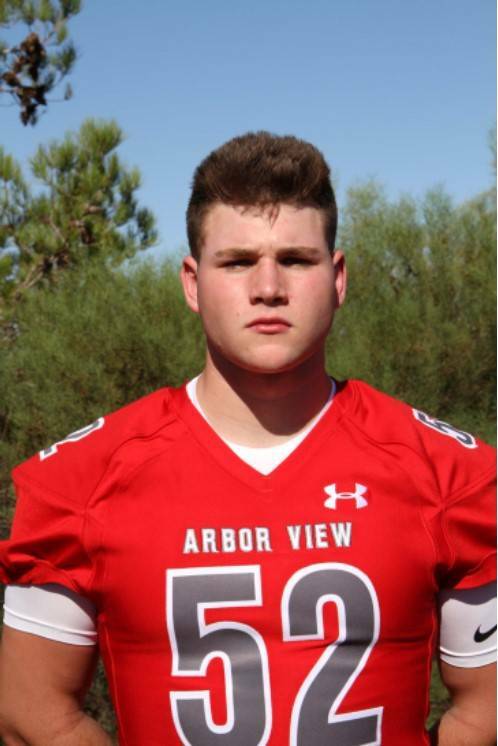 Arbor View's Deago Stubbs is a member of the Las Vegas Review-Journal's all-state football team. 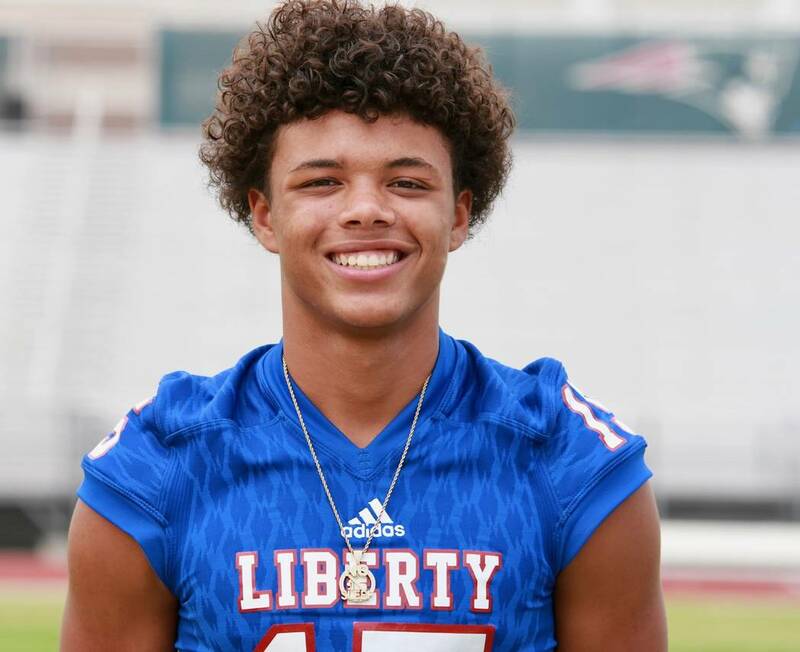 Liberty's Crishaun Lappin is a member of the Las Vegas Review-Journal's all-state football team. 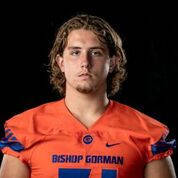 Bishop Gorman's Adam Plant is a member of the Las Vegas Review-Journal's all-state football team. 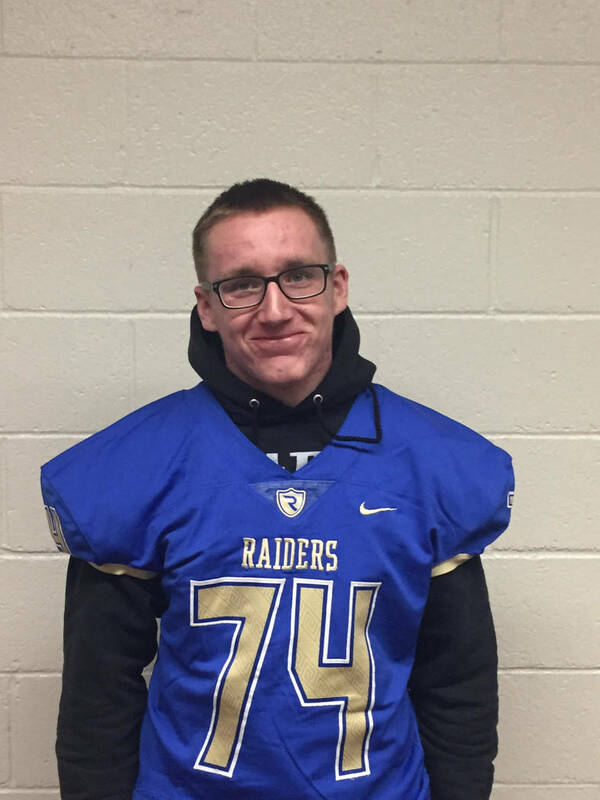 Reed's Eric Schmitz-Moran is a member of the Las Vegas Review-Journal's all-state football team. 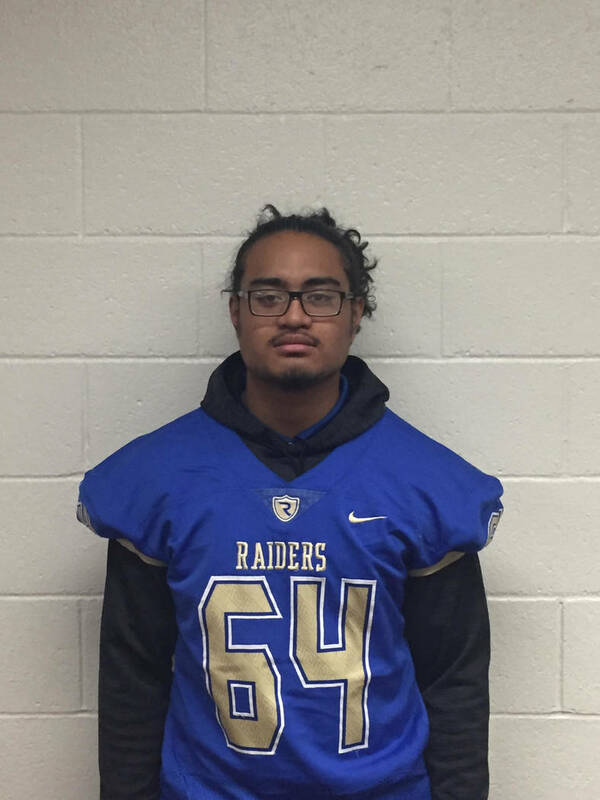 Reed's Charles Tuavao is a member of the Las Vegas Review-Journal's all-state football team. 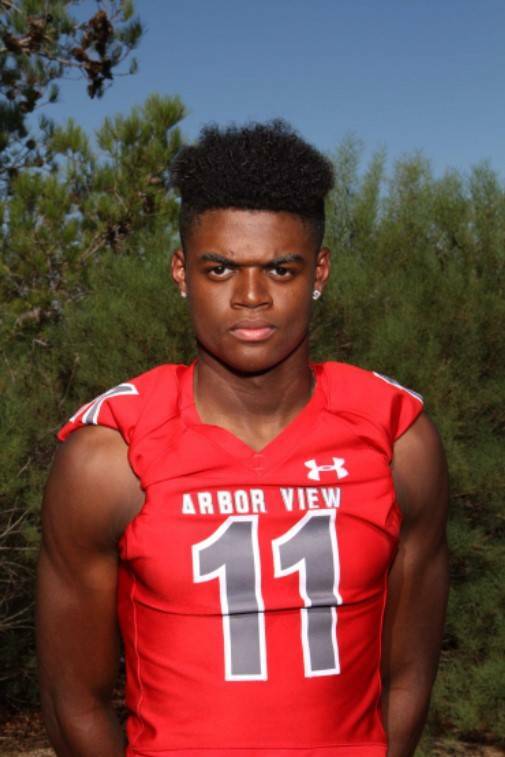 Arbor View's Elijah Wade is a member of the Las Vegas Review-Journal's all-state football team. 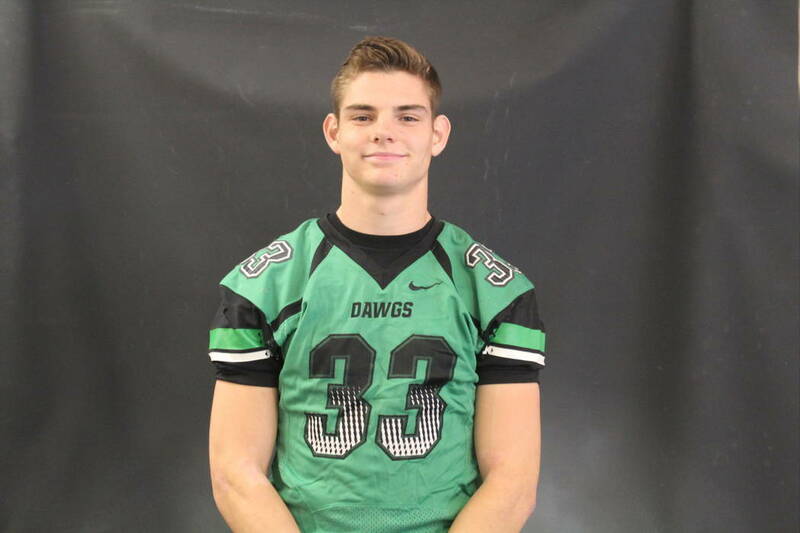 Palo Verde's Daniel Bellinger is a member of the Las Vegas Review-Journal's all-state football team. 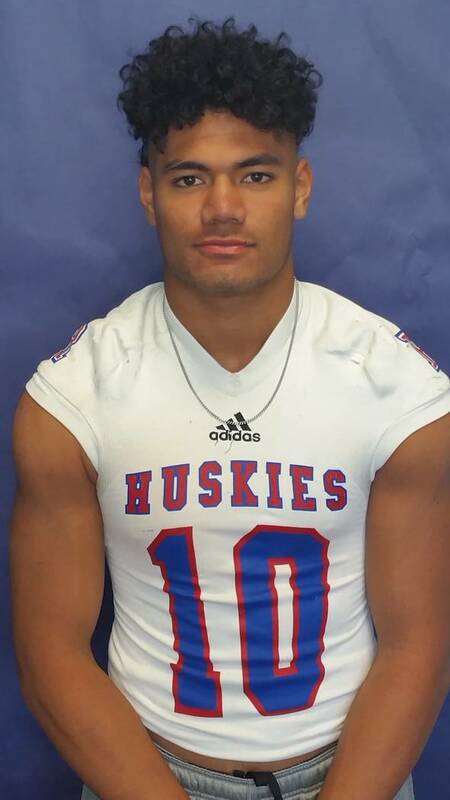 Reno's Siaosi Finau is a member of the Las Vegas Review-Journal's all-state football team. 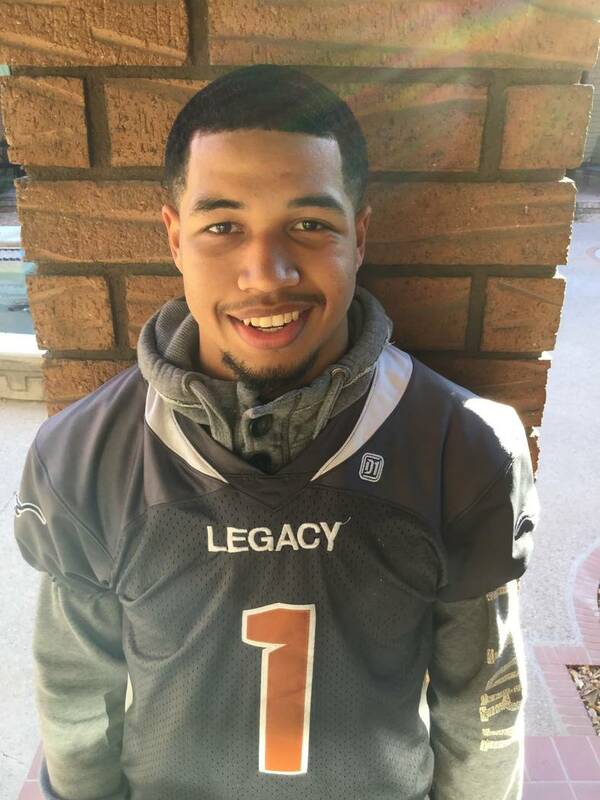 Legacy's Amere Foster is a member of the Las Vegas Review-Journal's all-state football team. 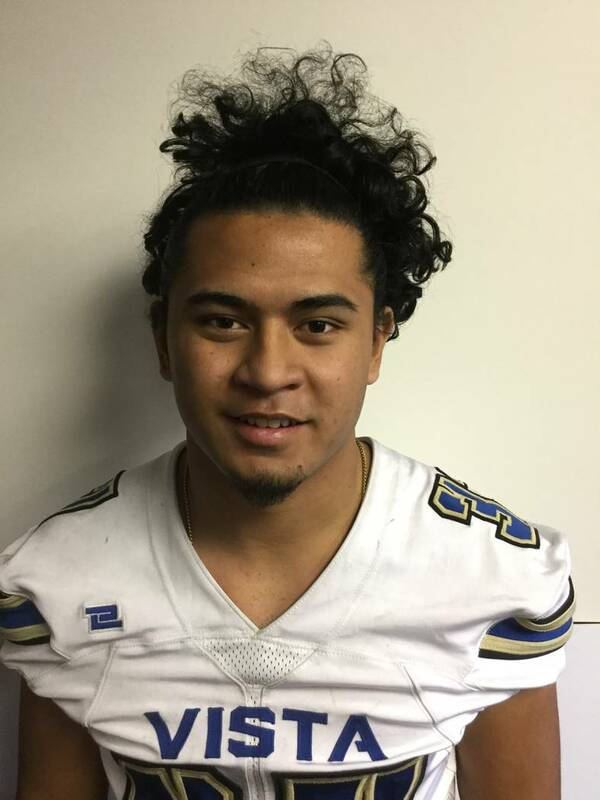 Reno's Brandon Kaho is a member of the Las Vegas Review-Journal's all-state football team. 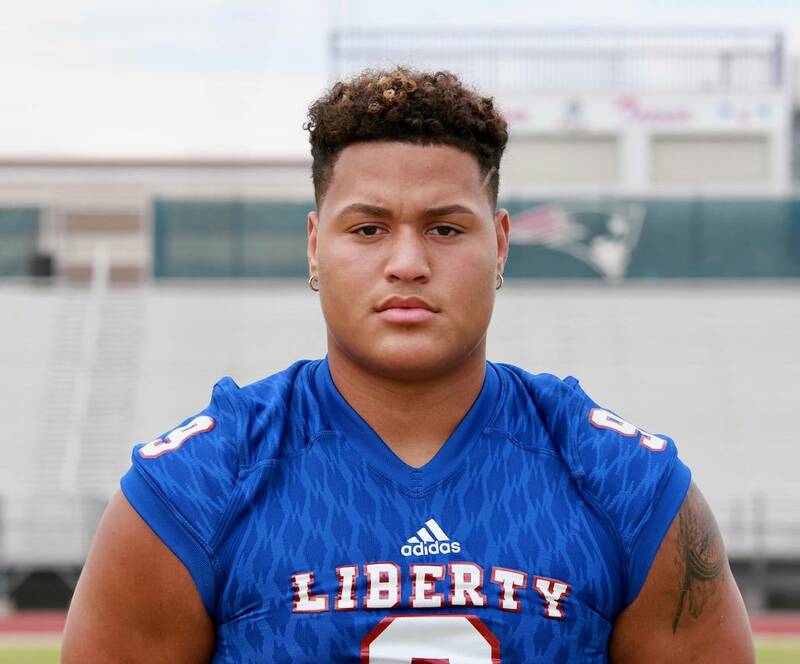 Liberty's Octavian Bell is a member of the Las Vegas Review-Journal's all-state football team. 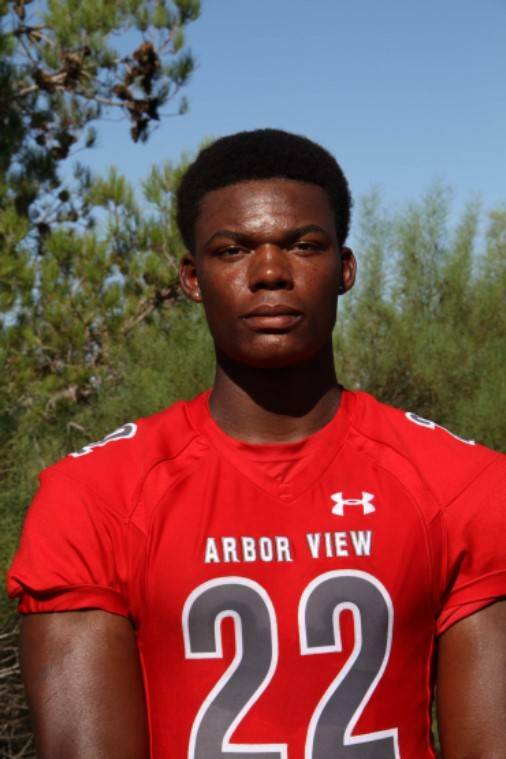 Arbor View's Isaiah Herron is a member of the Las Vegas Review-Journal's all-state football team. 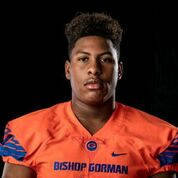 Bishop Gorman's Jordan Lee is a member of the Las Vegas Review-Journal's all-state football team. 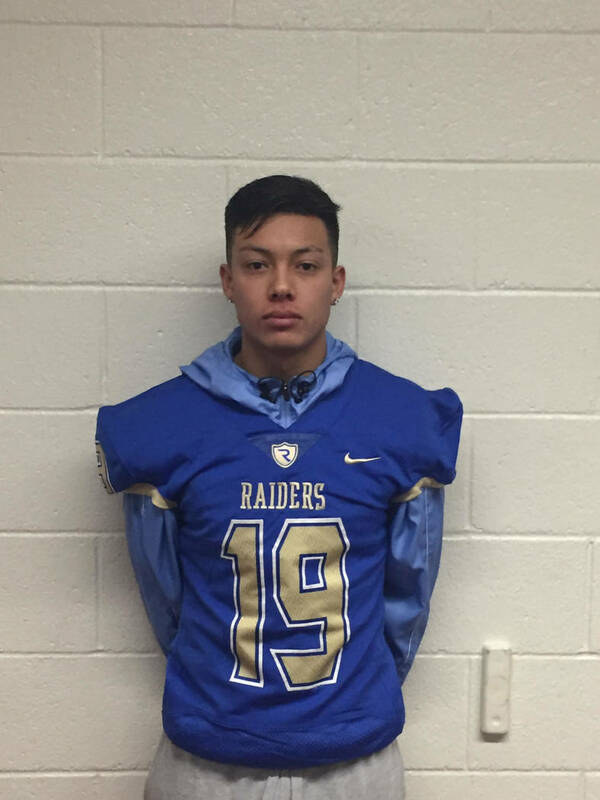 Reed's George Moreno is a member of the Las Vegas Review-Journal's all-state football team. 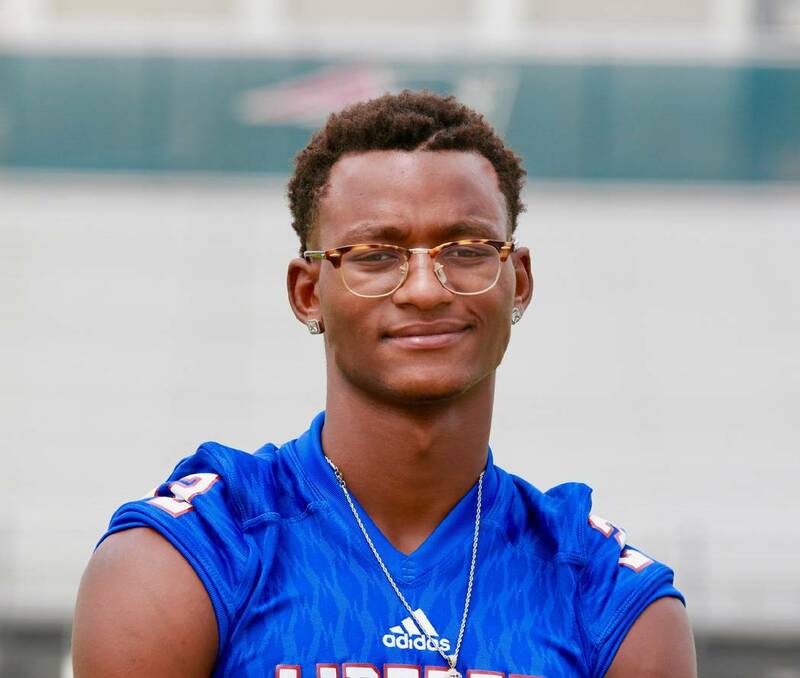 Liberty's Allan Mwata is a member of the Las Vegas Review-Journal's all-state football team. 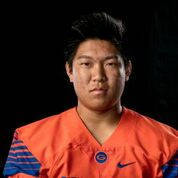 Bishop Gorman's Derek Ng is a member of the Las Vegas Review-Journal's all-state football team. 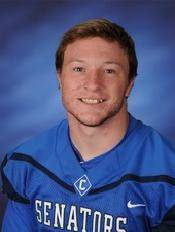 Reed's Cameron Emerson is a member of the Las Vegas Review-Journal's all-state football team. 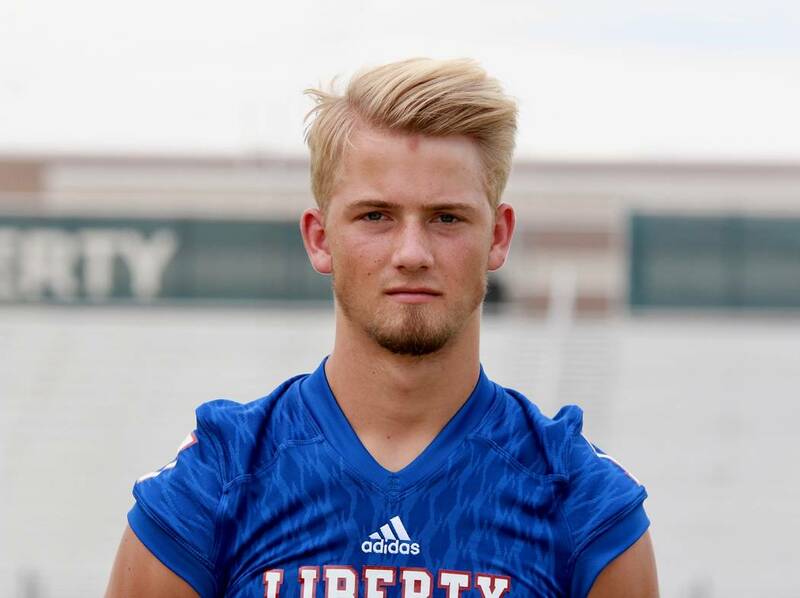 Liberty's Kenyon Oblad is a member of the Las Vegas Review-Journal's all-state football team. 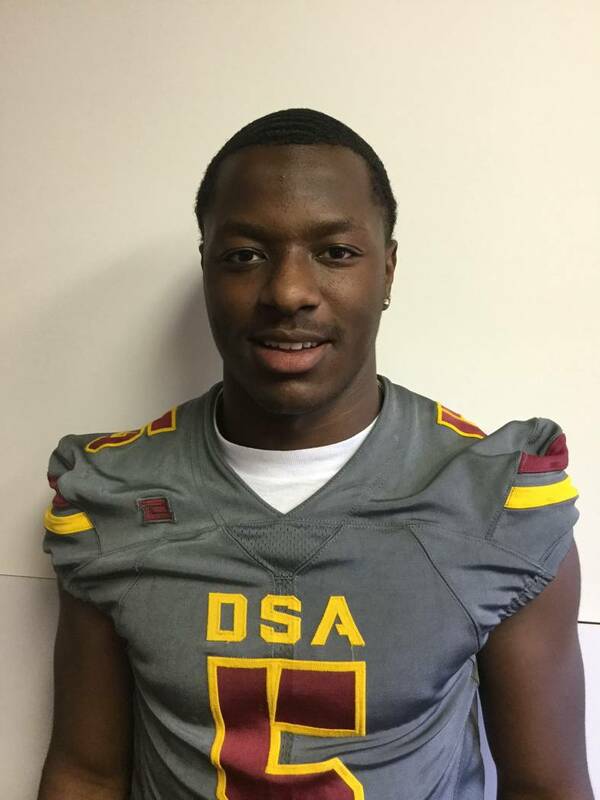 Del Sol's Taariq Flowers is a member of the Las Vegas Review-Journal's all-state football team. Shadow Ridge's Aubrey Nellems is a member of the Las Vegas Review-Journal's all-state football team. Spring Creek's Jason Painter is a member of the Las Vegas Review-Journal's all-state football team. 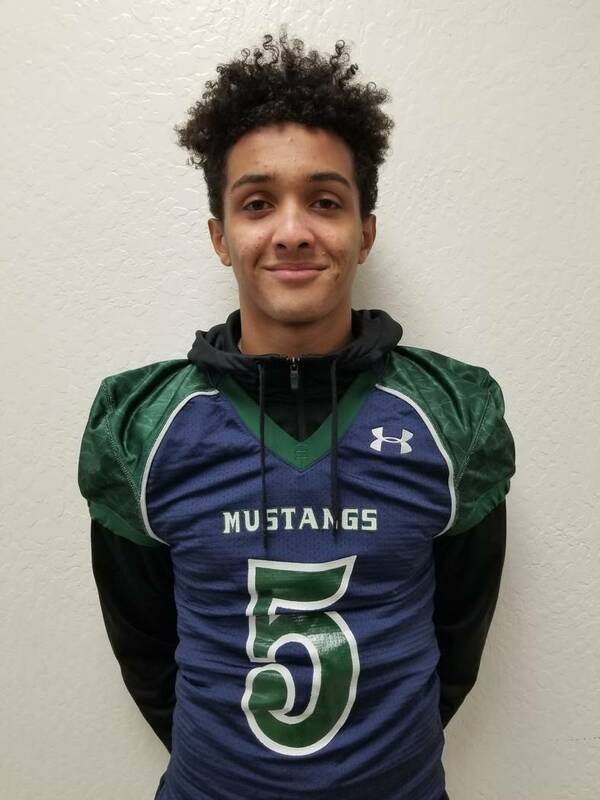 Damonte Ranch's Tai Allison is a member of the Las Vegas Review-Journal's all-state football team. 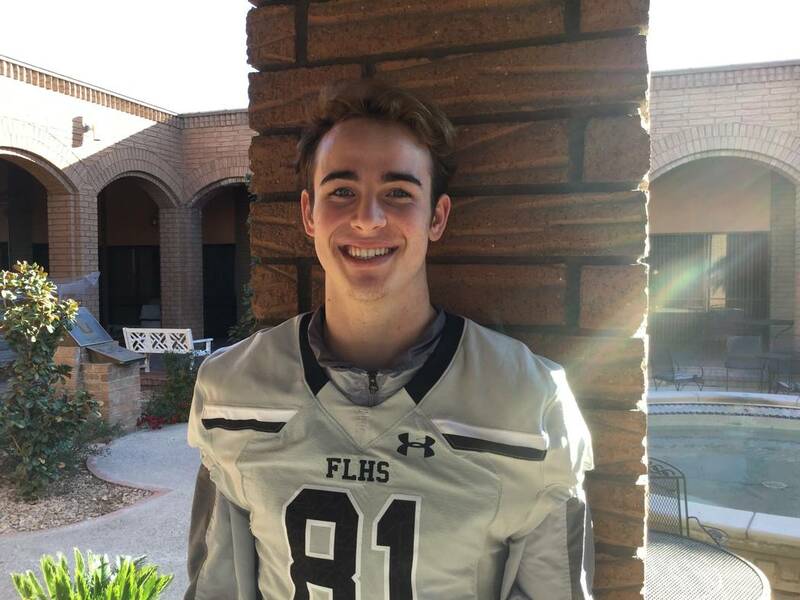 Faith Lutheran's Dalton Kincaid is a member of the Las Vegas Review-Journal's all-state football team. 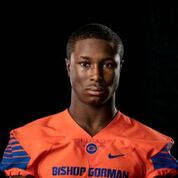 Bishop Gorman's Cedric Tillman is a member of the Las Vegas Review-Journal's all-state football team. South Tahoe's McCallan Castles is a member of the Las Vegas Review-Journal's all-state football team. 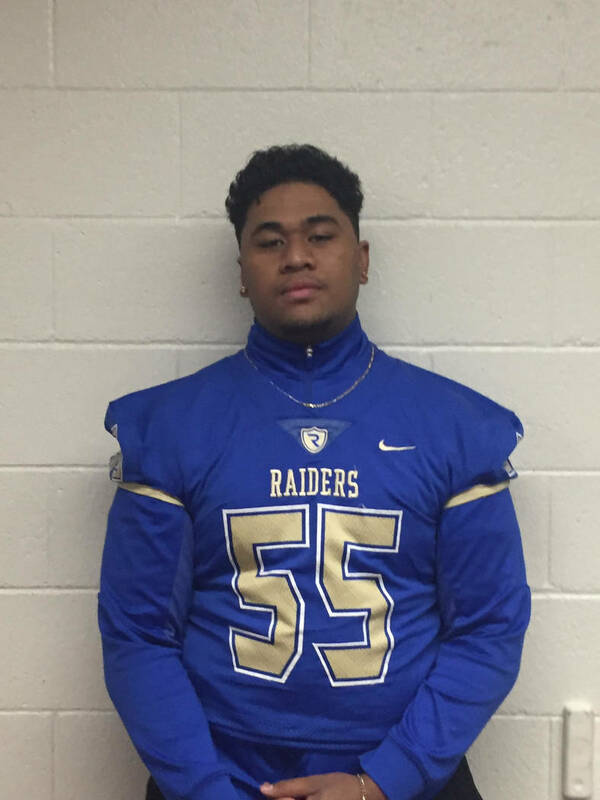 Reed's Vehekite Afu is a member of the Las Vegas Review-Journal's all-state football team. 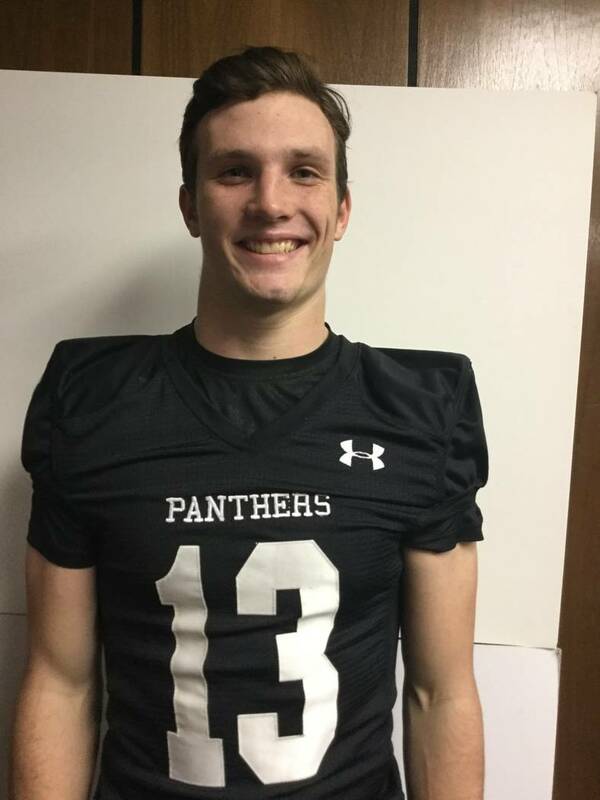 Churchill County's Ben Dooley is a member of the Las Vegas Review-Journal's all-state football team. 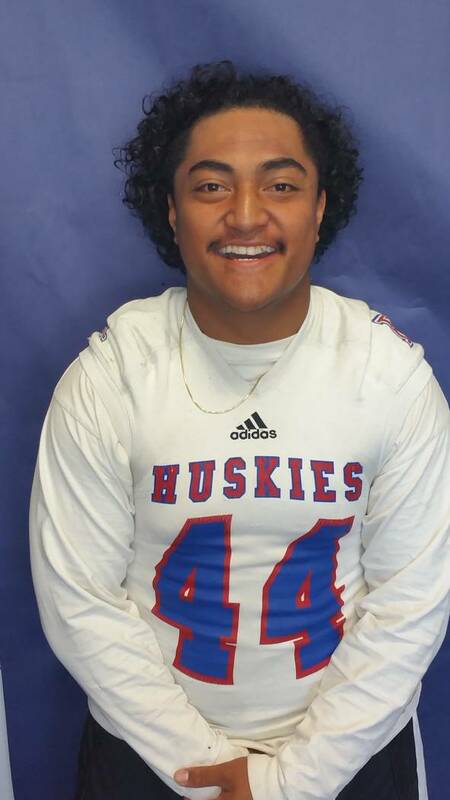 Liberty's Troy Fautanu is a member of the Las Vegas Review-Journal's all-state football team. 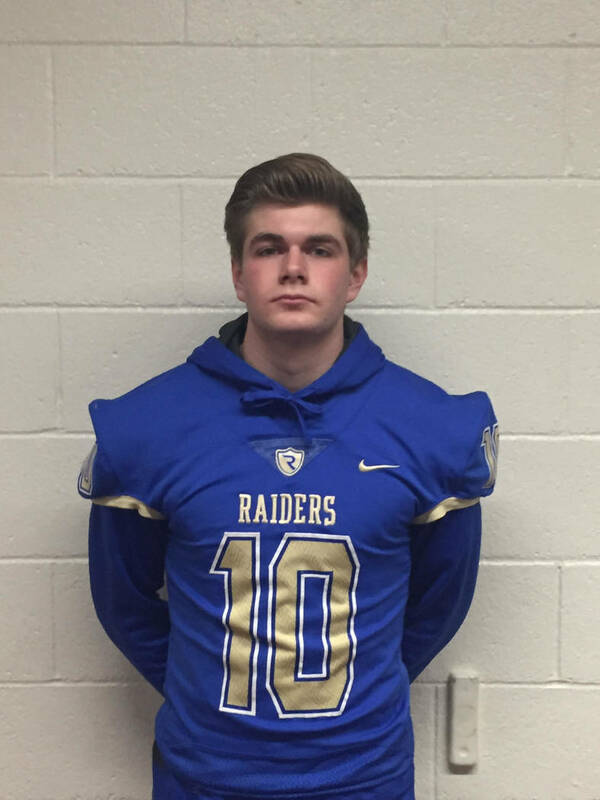 Reed's John Keeley is a member of the Las Vegas Review-Journal's all-state football team. 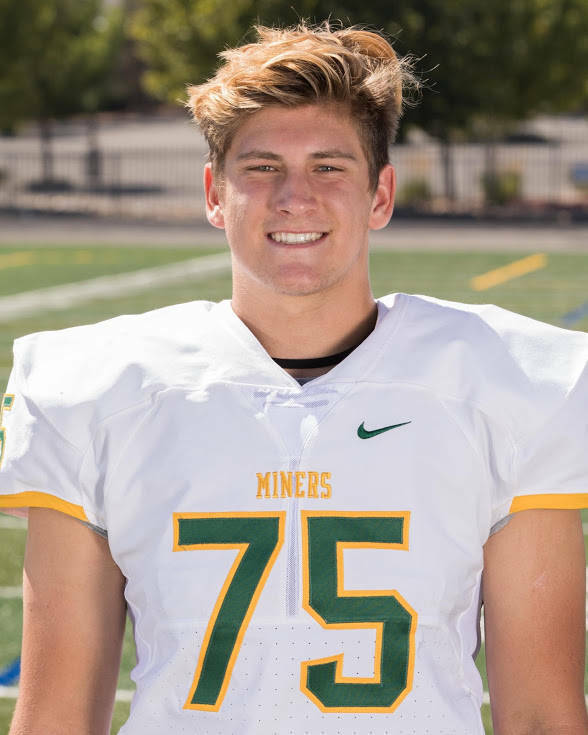 Bishop Manogue's Ryan Miller is a member of the Las Vegas Review-Journal's all-state football team. 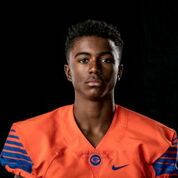 Canyon Springs' DiaMante Burton is a member of the Las Vegas Review-Journal's all-state football team. Desert Pines' Lorenzo Brown is a member of the Las Vegas Review-Journal's all-state football team. 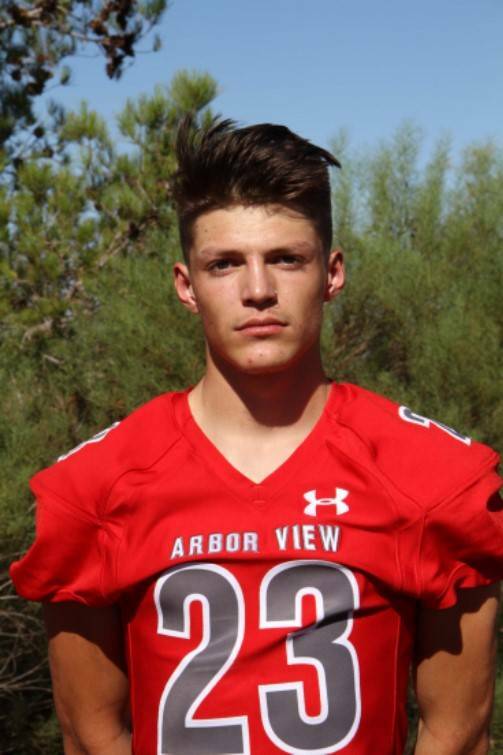 Arbor View's Zach Elefante is a member of the Las Vegas Review-Journal's all-state football team. 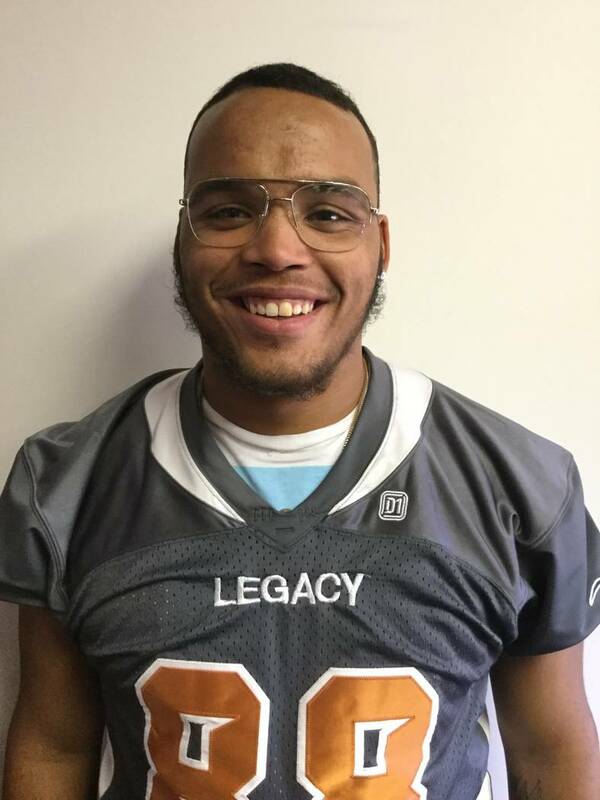 Legacy's Kenneth Holbert is a member of the Las Vegas Review-Journal's all-state football team. 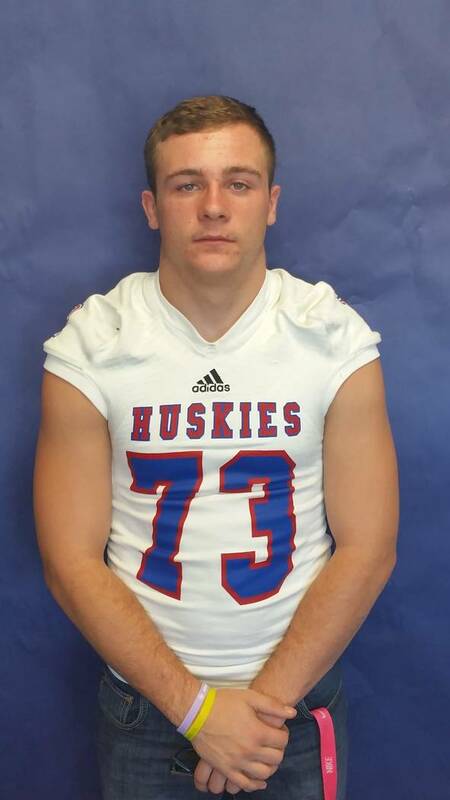 Reno's Logan Hutcherson is a member of the Las Vegas Review-Journal's all-state football team. 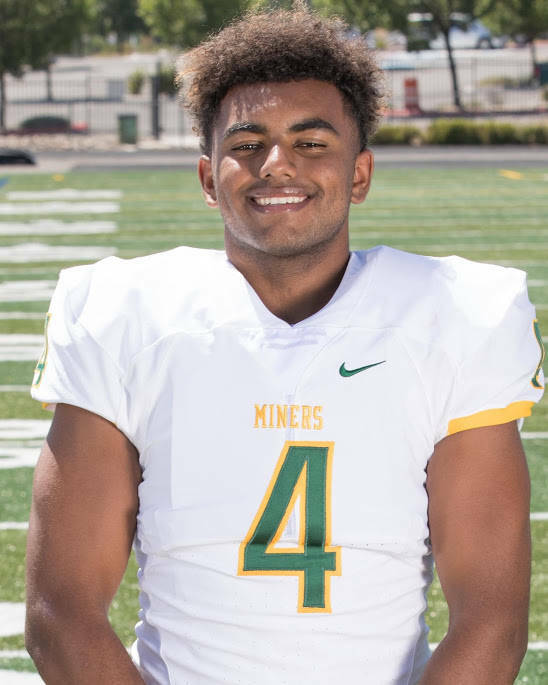 Bishop Manogue's Chandon Pierre is a member of the Las Vegas Review-Journal's all-state football team. 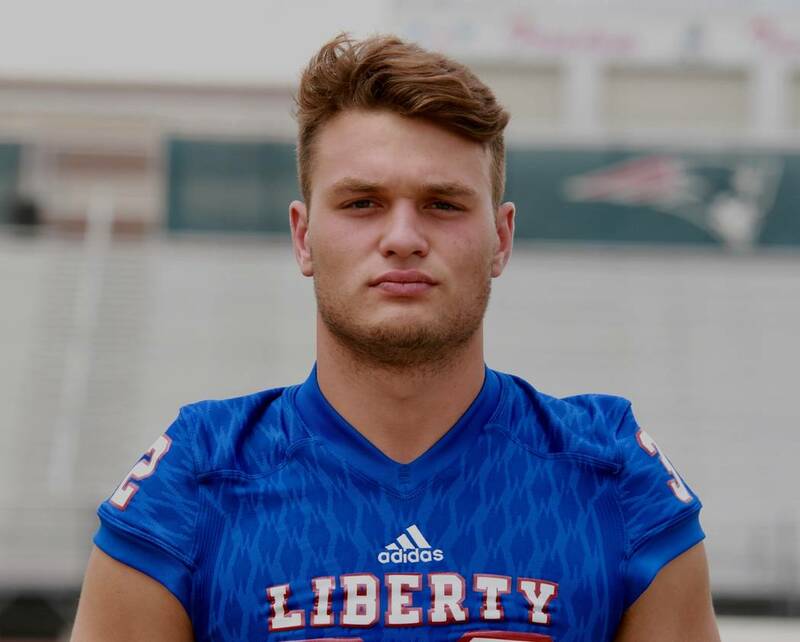 Liberty's Kyle Beaudry is a member of the Las Vegas Review-Journal's all-state football team. 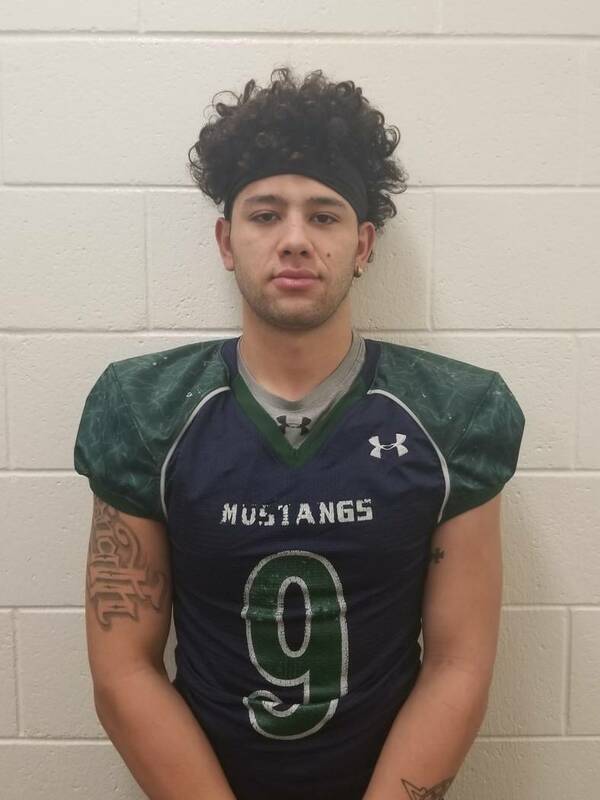 Damonte Ranch's Richie Garcia is a member of the Las Vegas Review-Journal's all-state football team. 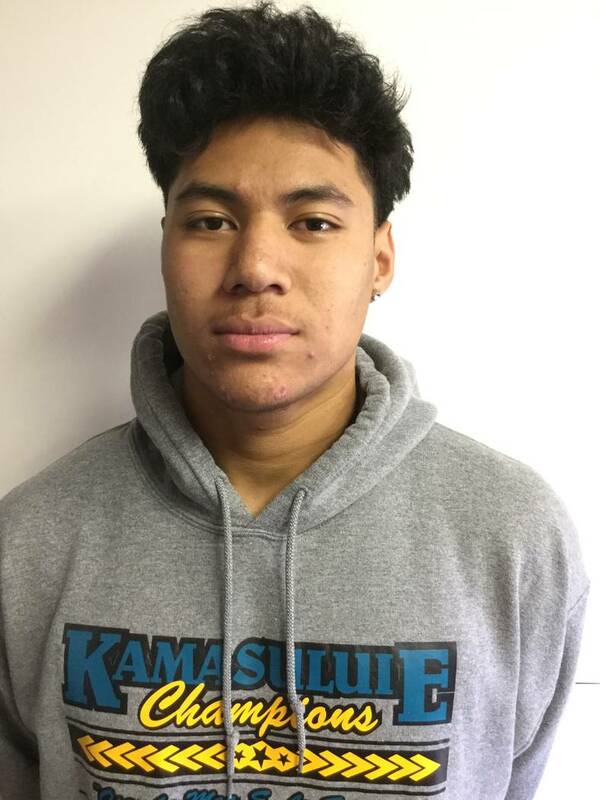 Sierra Vista's Jahssiah Maiava is a member of the Las Vegas Review-Journal's all-state football team. 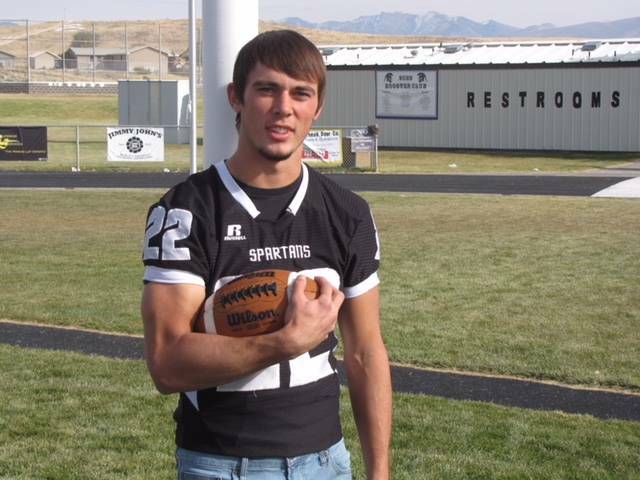 Sunrise Moujntain's Logan Rollins is a member of the Las Vegas Review-Journal's all-state football team. 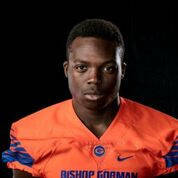 Bishop Gorman's Jeffrey Ulofoshio is a member of the Las Vegas Review-Journal's all-state football team. 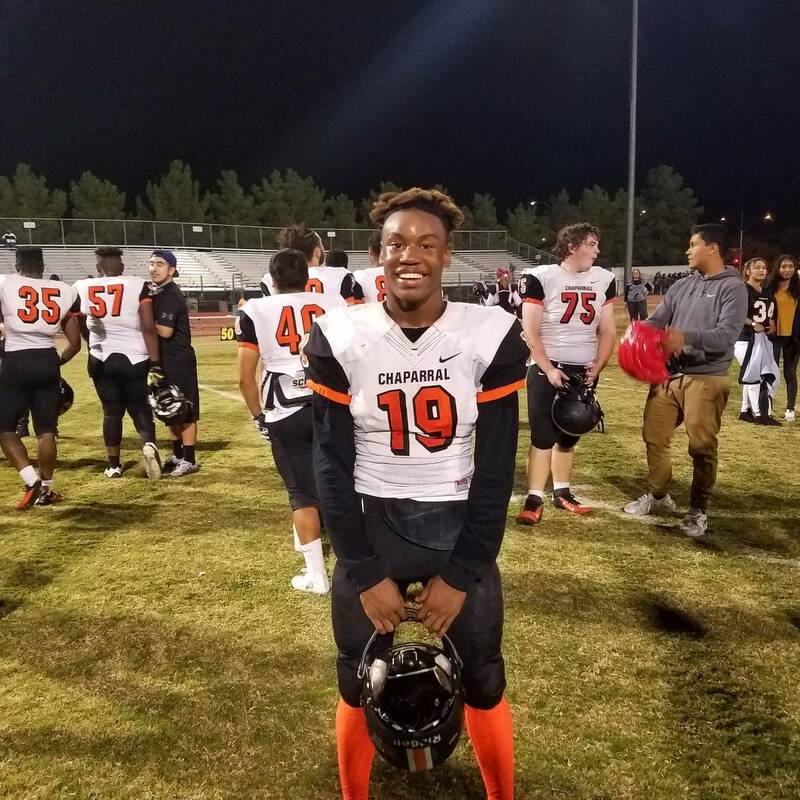 Chaparral's TyRay Collins is a member of the Las Vegas Review-Journal's all-state football team. 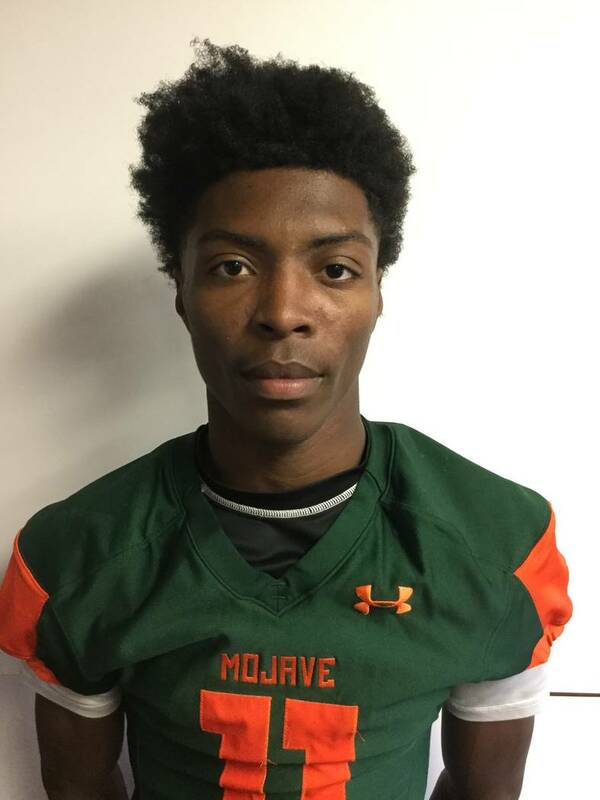 Mojave's John Harper is a member of the Las Vegas Review-Journal's all-state football team. 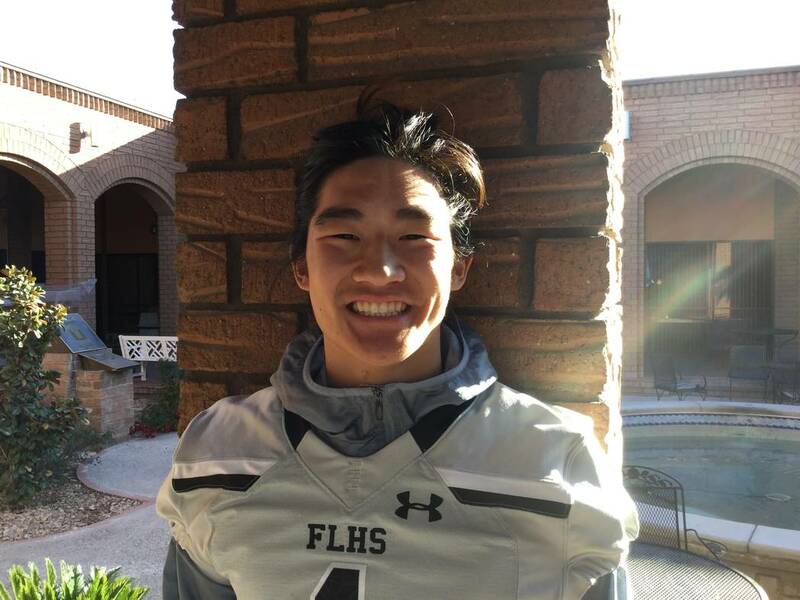 Faith Lutheran's Josh Hong is a member of the Las Vegas Review-Journal's all-state football team. 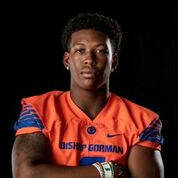 Bishop Gorman's Kyu Kelly is a member of the Las Vegas Review-Journal's all-state football team. 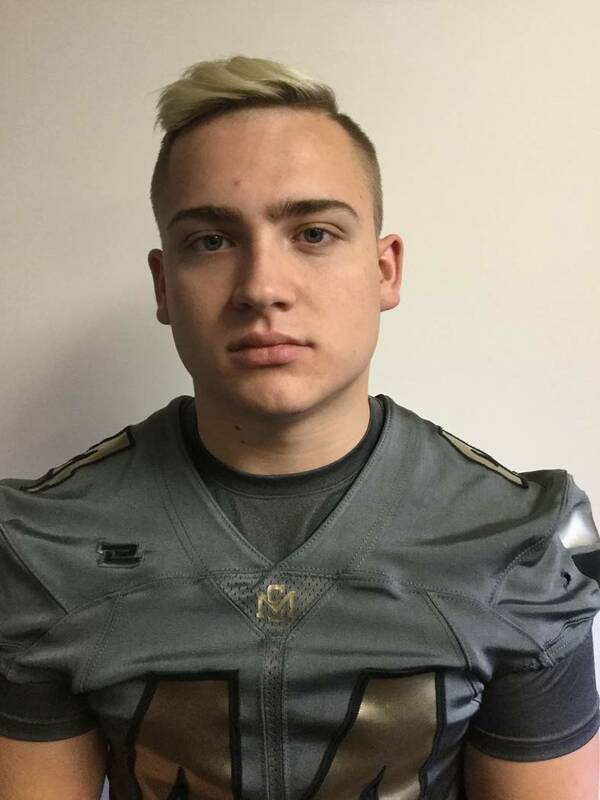 Churchill County's Sean McCormick is a member of the Las Vegas Review-Journal's all-state football team. 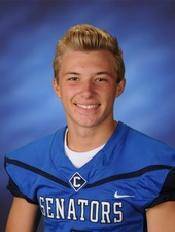 Carson's Tanner Kalicki is a member of the Las Vegas Review-Journal's all-state football team. The junior passed for 3,470 yards and 44 TDs with eight interceptions. He completed 58.6 percent of his passes, earning Class 4A Northern Region Offensive Player of the Year honors. He has committed to Notre Dame. The senior completed 68.8 percent of his passes for 3,275 yards and 37 TDs with just three interceptions. He also rushed for 426 yards and seven TDs. He was named the Southwest League’s Offensive co-Most Valuable Player and has committed to UCLA. The senior rushed for 1,902 yards and 18 TDs, earning first-team Class 4A All-Northern Region honors. He was the Sierra League Offensive Player of the Year. The senior rushed for 1,880 yards and 24 TDs and caught 27 passes for 705 yards and seven scores. 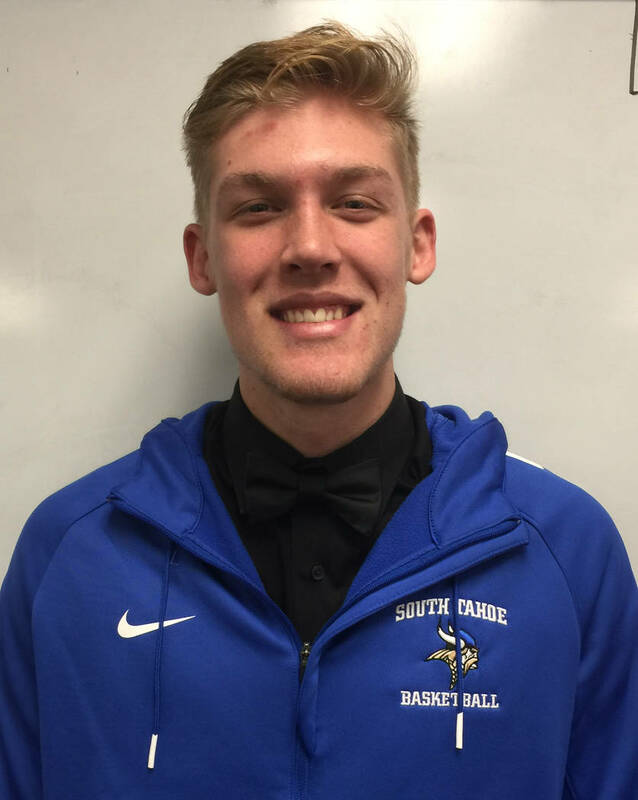 He was the named Class 3A Southern Region and Sunrise League Most Valuable Player. The junior rushed for 1,703 yards and 21 TDs to guide the Rattlers to the Class 3A state championship game. He also led Mojave with 63 tackles, and was named the Sunset League Most Valuable Player. The senior senior rushed for 1,366 yards and 20 TDs on just 126 carries (10.8 ypc). He made the All-Northwest League first team. The senior caught 52 passes for 955 yards and 16 TDs. He made the Class 4A All-Northern Region first team. The senior caught 63 passes for 1,085 yards and 13 TDs. He made the Class 3A All-Northern League first team. The senior caught 41 passes for 807 yards and 12 TDs. He was a first-team All-Southwest League pick, helping the Gaels to their ninth consecutive state title. The senior made the All-Southeast League first team. He caught 40 passes for 654 yards and seven TDs. The senior was the Southwest League’s Offensive co-Most Valuable Player after catching 63 passes for 1,111 yards and 12 TDs. He has committed to Miami. The senior, who has committed to UNLV, was a first-team All-Southeast League pick at tackle. He helped the Gators advance to the Sunrise Region final. The senior was a first-team All-Southwest League pick at tackle and helped the Gaels to a ninth state title in a row. He has committed to Michigan State. 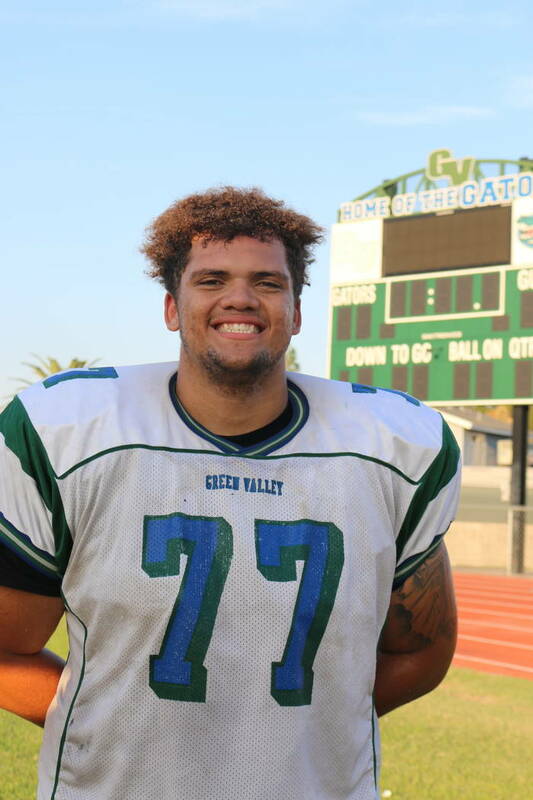 The senior was the Sierra League lineman of the year and made the Class 4A All-Northern Region first team at center. He also was a standout linebacker, finishing with 160 tackles, including nine tackles for loss and five sacks. The senior was a first-team All-Southwest League pick at guard. He helped the Mountain Lions average 254.9 rushing yards. The junior made the All-Southwest League first team at guard, and helped lead an offense that scored at least 35 points in every game against a Nevada opponent. The senior rushed for 949 yards and 14 touchdowns, and caught 11 passes for 257 yards and three scores. On defense, he had 39 tackles, an interception and a sack. He was a first-team All-Northwest League selection at wide receiver and safety. The senior was the Southeast League Defensive Most Valuable player and had 48 tackles, 13 tackles for loss and 11½ sacks. He also rushed for 314 yards and seven touchdowns and made the All-Southeast League first team at defensive tackle and second team at fullback. The senior had 52 tackles, 16 tackles for loss and 10 sacks. He was a first-team All-Southwest League pick at defensive end. He has committed to Arizona. The senior had 76 tackles, including 13 tackles for loss and 12 sacks for the Class 4A state runners-up. He was a first-team All-Northern Region pick at defensive end. The senior had 76 tackles, eight tackles for loss and four sacks. He made the Class All-Northern Region first team at defensive tackle. The senior had 49 tackles, seven tackles for loss and four sacks. A second-team All-Northwest League pick at defensive end, Wade holds more than 20 scholarship offers. The senior posted 131 tackles, 10 tackles for loss and three sacks in earning first-team All-Northwest League honors at inside linebacker. He also was a standout tight end, catching 22 passes for 371 yards and three TDs. He has committed to San Diego State. The senior was the Class 4A High Desert League and Northern Region Defensive Player of the Year. He was a first-team All-Northern Region pick at linebacker. The senior had 142 tackles, 19 tackles for loss, four sacks and two interceptions. He was the Northwest League’s Defensive Most Valuable Player. The senior had 80 tackles, including 20 tackles for loss and three sacks in leading the Gaels to a ninth consecutive state title. He was the Southwest League’s Defensive Most Valuable Player and has committed to Southern California. The senior was the Class 4A High Desert League and Northern Region Player of the Year for the second straight season. He was a first-team All-Northern Region pick at defensive end. He has committed to Washington. The senior intercepted four passes and recorded 38 tackles for the Class 4A Sunrise Region champs. He made the All-Southeast League first team at cornerback. The senior was made the All-Northwest League first team as a cornerback. He had 11 tackles and one interception and has committed to Brigham Young. The senior picked off seven passes and 36 tackles, including one sack. He made the All-Southwest League first team at safety. 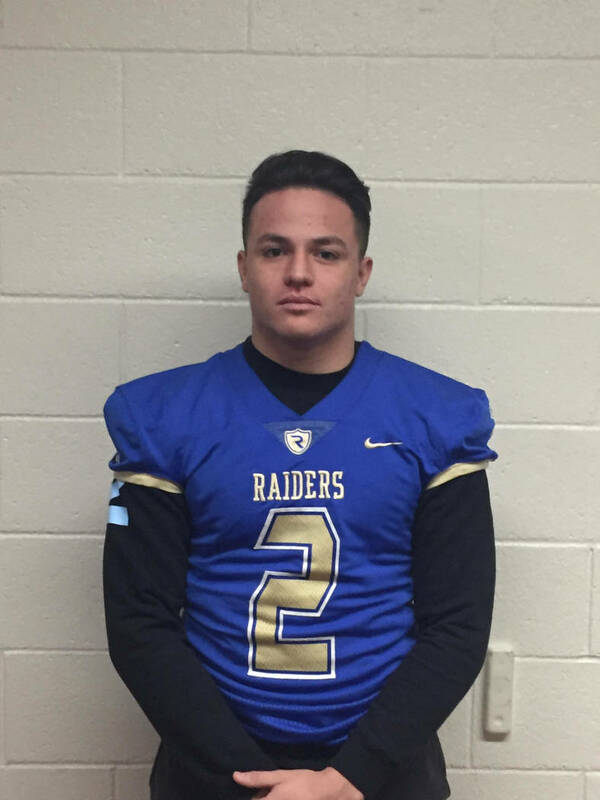 The senior had 49 tackles and an interception in helping the Raiders to the Class 4A Northern Region title. He made the All-Northern Region first team. 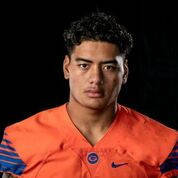 The senior, who has committed to San Diego State, had 38 tackles and five interceptions to help the Patriots to their eighth consecutive Class 4A Sunrise Region title. He was a first-team All-Southeast League pick at safety. The senior made 7 of 9 field goals with a long of 37 yards. He was 87-for-93 on extra points, and had 69 kickoffs go for touchbacks. He was a first-team All-Southwest League pick. The senior was the Sierra League Player of the Year. He passed for 2,026 yards and 23 TDs and rushed for 485 yards and six scores for the Raiders, who advanced to the Class 4A state title game. The senior passed for 2,699 yards and 28 touchdowns with six interceptions. He was the Southeast League’s Offensive Most Valuable Player, and has committed to UNLV. He finished his career as the state’s all-time leading passer with 11,829 yards. The senior rushed for 1,621 yards and 14 TDs. He was the Class 3A Sunrise League Offensive Most Valuable Player and made the All-Southern Region first team at running back. The senior rushed for 1,080 yards and 30 touchdowns. 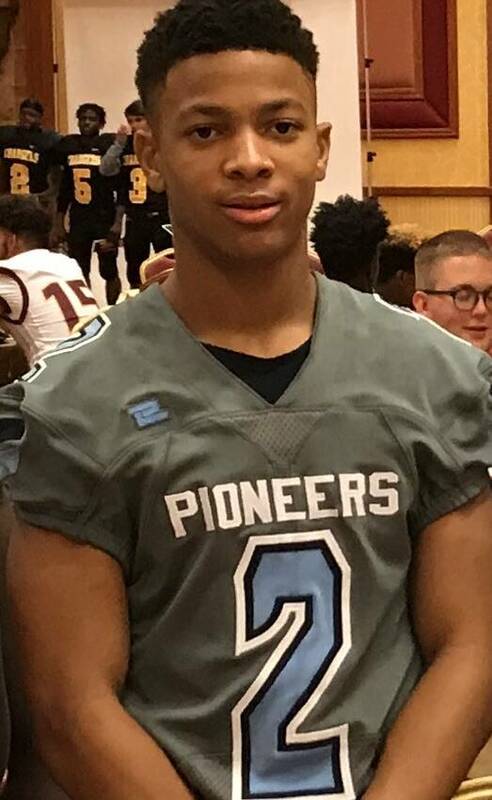 He was the Class 4A Northern Region Player of the Year for the second straight season, and made the All-Northern Region first team at running back. He has committed to Washington. The senior rushed for 1,222 yards and 12 TDs on 126 carries, averaging 9.7 yards per rush. He was a first-team All-Northwest League selection at running back. Nellems has committed to Southern Utah. The senior made the Class 3A All-Northern League first team. He rushed for 1,959 yards and 24 TDs. 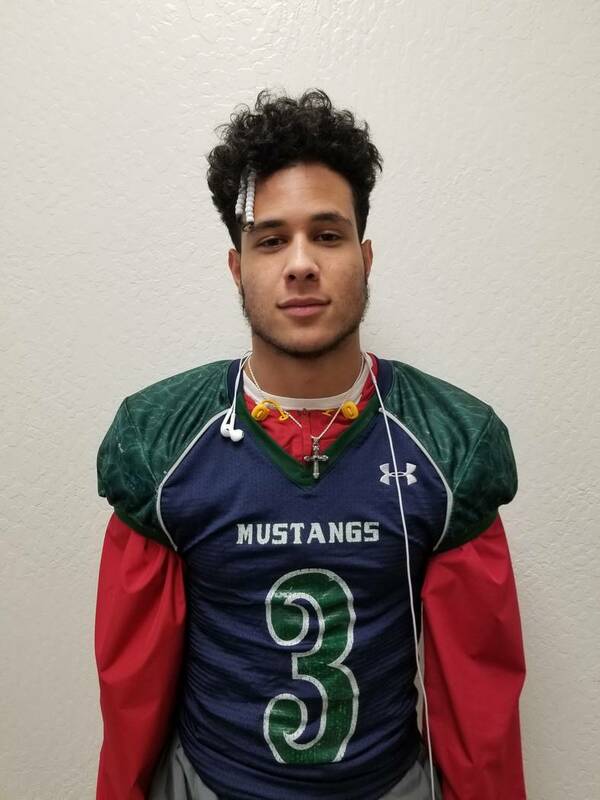 The junior led the Mustangs with 61 receptions for 1,053 yards and had 11 TD catches. He as made the Class 4A All-Northern Region first team. The senior caught 37 passes for 745 yards and eight TDs. He made the All-Northwest League first team. The senior had 37 catches for 774 yards and seven TDs. He was a first-team All-Southwest League pick. The junior made the All-Southeast League first team. He caught 35 passes for 668 yards and seven TDs in helping the Patriots to the Sunrise Region title. The senior caught 37 passes for 834 yards and 12 TDs. He as made the Class 3A All-Northern League first team. Castles has committed to California. The senior was a first-team All-Northern Region pick at tackle. He helped the Raiders to the Northern Region title. The junior made the Class All-Northern League first team after helping the Greenwave average 217.5 rushing yards. The junior made the All-Southeast League first team at offensive tackle. He helped the Patriots claim a ninth consecutive Sunrise Region title. The junior made the Class 4A All-Northern Region first team at guard. He helped the Raiders more than 300 yards of offense. The senior made the Class All-Northern Region first team at tackle. He helped the Miners average 372.6 yards of offense. The senior passed for 622 yards and eight TDs, rushed for 768 yards and nine TDs and caught 10 passes for 143 yards and five scores. He was the Northeast League Offensive Most Valuable Player. 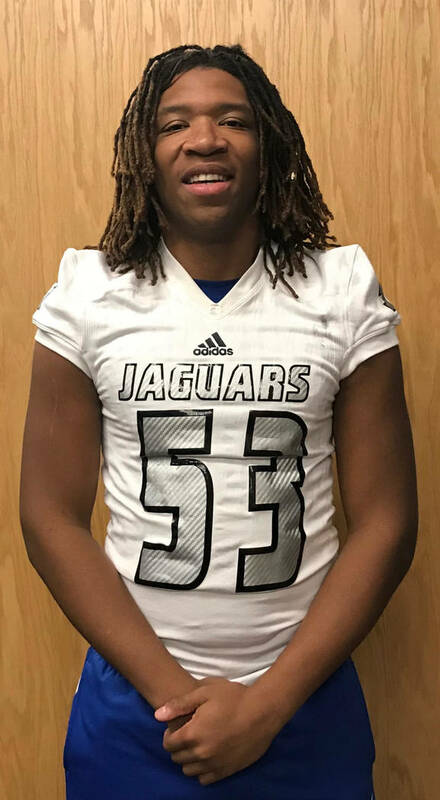 The senior had 54 tackles and five sacks to help the Jaguars to their second straight Class 3A state title. Brown was the Southern Region Lineman of the Year, and has committed to Montana. The senior was a first-team All-Northwest League pick at defensive end. Elefante had 56 tackles, eight tackles for loss and six sacks. The senior had 44 tackles and was a first-team all-Northwest League pick at defensive tackle. The senior was the Class 4A High Desert League and Northern Region Lineman of the Year. He was a first-team All-Northern Region pick at defensive tackle and offensive guard. The junior had 68 tackles, eight tackles for loss and 14½ sacks. He was a second-team Class 4A All-Northern Region pick at defensive end. The junior led the Patriots with 61 tackles and added eight sacks to earn first-team All-Southeast League honors at outside linebacker. The senior made the Class 4A All-Northern Region first team after recording 111 tackles, including 22 tackles for loss and 11 sacks. He was the Sierra League Defensive Player of the Year. The junior had 48 tackles, including 14 tackles for loss and eight sacks. He made the All-Southwest League first team at outside linebacker. The senior had 167 tackles, including 31 tackles for loss. He was the Class 3A Sunset League Defensive Most Valuable Player, and made the All-Southern Region first team. The senior led the Gaels with 100 tackles, and added 15½ tackles for loss, five sacks and two interceptions. He made the All-Southwest League second team. The senior was the Class 3A Sunrise League and Southern Region Defensive Most Valuable Player. The senior intercepted six passes, returning three for touchdowns for the Class 3A state runners-up. He also had 37 tackles and made the All-Sunset League first team at cornerback. The senior was a first-team All-Northwest League pick at cornerback. Hong had 49 tackles and an interception. The junior intercepted four passes and had 18 tackles. He was a first-team All-Southwest League pick at cornerback. The junior had 142 tackles, eight interceptions and a sack. He was the Class 3A Northern League Most Valuable Player. McCormick also passed for 1,015 yards and 12 TDs and rushed for 1,294 yards and 17 TDs. The senior made three field goals with a long of 52 yards. He was 24-for-24 on extra points, and made the All-Northern Region first team as a kicker. In his second year as head coach, Gonzalez led the Rattlers on an incredible turnaround. After going 1-8 in 2016, Mojave was 10-3 and advanced to the Class 3A state title game.